Out travels have continued as we film along the River Great Ouse and its tributaries. We’re reached the navigable limits of the Relief Channel, the River Wissey, the River Little Ouse and the River Lark. Jude’s Ferry on the River Lark. 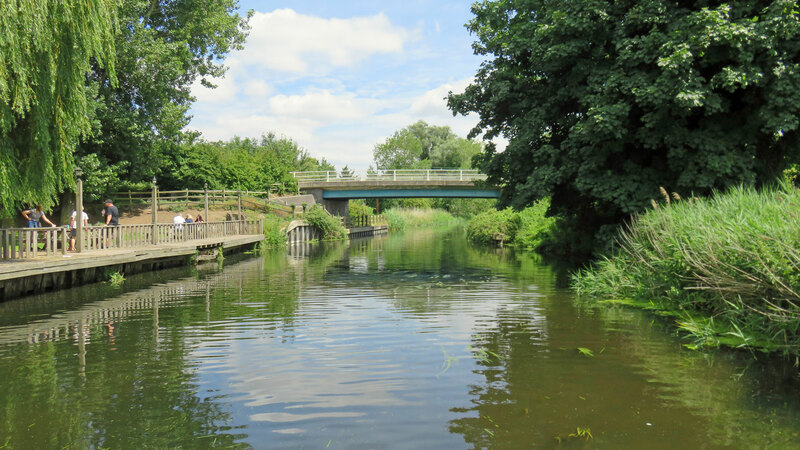 We’ve also visited Cambridge, and the three navigable lodes – Wicken, Burwell and Reach. This year we’ve seen more grebes with youngsters on their backs than I remember from previous years. 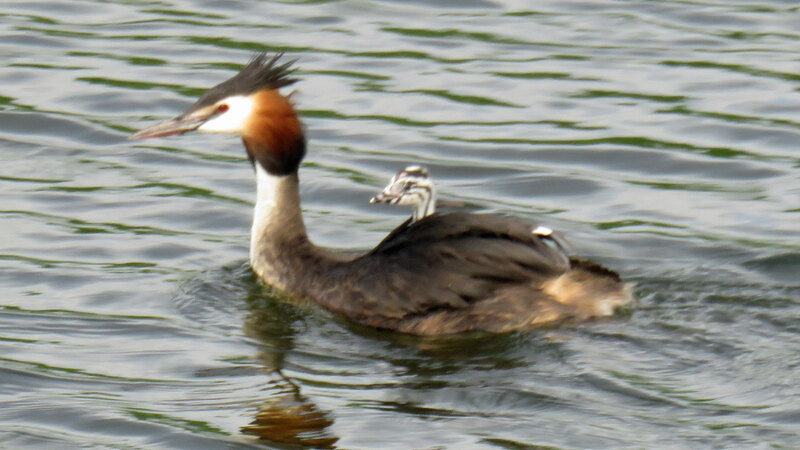 Grebe, with a baby on board. Our progress has been helped by guest crew – Sara and Stephen – and we would have had further help from Lucy if the weather had held a little longer. 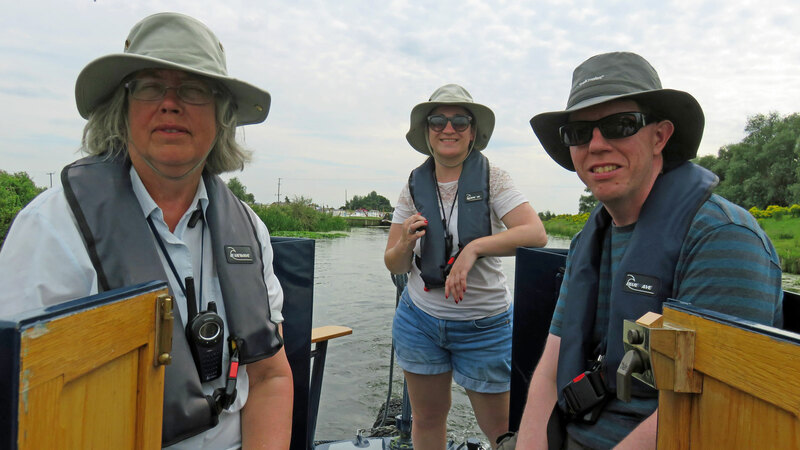 Christine, Sara and Stephen on Waterway Routes. The glorious weather allowed us to reach St Ives and St Neots. 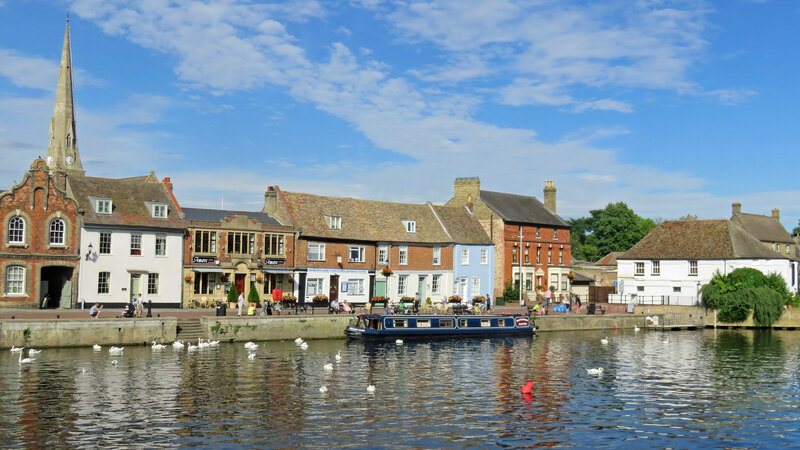 Waterway Routes at St Ives on the River Great Ouse. We should reach Bedford in the fine weather forecast for tomorrow. This entry was posted in Our Travels by Paul. Bookmark the permalink. Nice to see the Lark again. We were moored on the floating pontoons near the ‘Pepperpot’ until we set off on our travels this year. The Lodes are very special, especially Wicken. Getting down and turning round at Reach was hard work when we did it with low water levels.